The last day of May and the weather was wet, cold and miserable ahead of the Perthshire tournament. But three Kobras teams - two at under 12 and a hardy bunch of U10s - ventured forth to do battle. Here are the tournament reports. Someone had put something in the breakfasts of the members of Team A. Gone were the traditional sleepy starts that many Kobras teams have made in the past. Instead we had a team of whirling dervishes, who harried the opposition mercilessly from the off, whacked the ball about, left, right and centre (and occasionally straight up in the air) and generally frightened everone who crossed their paths. Andrew and Ben were everywhere and by half time in the first match, were two-nil up against Carnegie. Sleepy Kinross made a guest reappearance in the second half and Carnegie were let back in for a time, before the team upped their game again to finish things off 4-2. In the second game JHA B found things no easier, and were dispatched in glorious fashion, with goals whacked in from all angles. That put the team through to the first-place playoffs against the winners of the other pools - Dundee Wanderers and JHA A. First up were the Dundonians, who appeared to have shrunk one of the Scotland men's team down to young nipper dimensions and we found ourselves chasing a single individual around the pitch. We also found ourselves on the end of quite a few goals, with only a single score in response. The scoreline didn't quite do us justice, but we could have no complaints about the result. JHA were playing at a level above everyone else, including Wanderers, and dispatched everyone who crossed their path with some aplomb. The scoreline was not one we'd like to remember. Still, to finish third represented a spectacular performance from the whole team. Special mentions must go to Eilidh, who played like an old hand despite having only been a hockey player for a few months, to Lewis B who played out of his skin and was chosen as player of the tournament by Kirsty, and to Andrew, who led the line and set the tone of the performance. Kinross Kobras B had a team comprised of; Mathew, Luke, Anna, Sophie, Olivia, Struan, Nikki and Lewis. Placed in pool C we first faced Wanderers B who took an early lead from a scramble in front of our goal. However as the game progressed Kinross started to string some neat passes together and the momentum swung their way, resulting in a well worked and deserved drawing goal. Next up came JHA A, a club who usually have a well drilled team with some very skilful players. They did not disappoint and the leadership of those skilful players really put them on the front foot, with accurate passing, good use of field space and strong hitting. Whilst it would be fair to say they scored a higher number of goals than us, a couple questioningly from outside the shooting area, I have to say that our goal was a far better team effort which left them wondering what had happened. In the end It was a tough defeat due to the score line but to their credit the team never gave up and JHA A went on to be deserved Tournament winners. We ended the pool stage in 3rd place and went on to play JHA B, Grove and Perthshire in the play offs. Unfortunately each of the games were only 5 min long which really did not allow anyone to get going resulting in two nil draws and one loss. Everyone played their part and despite the lack of a win, team spirit was good and all appeared to enjoy themselves. A special well done to Lewis D who was nominated Kinross Kobras B player of the tournament in his first tournament! Plenty to still work on in training, but some real positives and progress in a short time. Well done and thanks to all those parents who braved the icy wind to stand on the side and support their children. It was a hard day at the office for the U10s. Everyone in the team gave 110%, but still came off 2nd best in four games, drawing the other with the hosts. Passing throughout was solid and but for some tremendous defending from Ross Telfer and Lawrence Kuijpers we may have let in many more. Iona Sands and David Leslie were our goal scorers. After our last tournament game we played a friendly against Carnegie (who previously beat us 3-1). We were really focused and ran out 3-0 winners with David Savage scoring his first goal for the U10s. Special mention to Ross Telfer who was named Kinross' player of the tournament. Overall a strong team performance, undone by a few lapses of attention. Plenty to build on and much to be positive about. A great pat on the back for all those that played for Kobras this Saturday at the Carnegie Tournament. 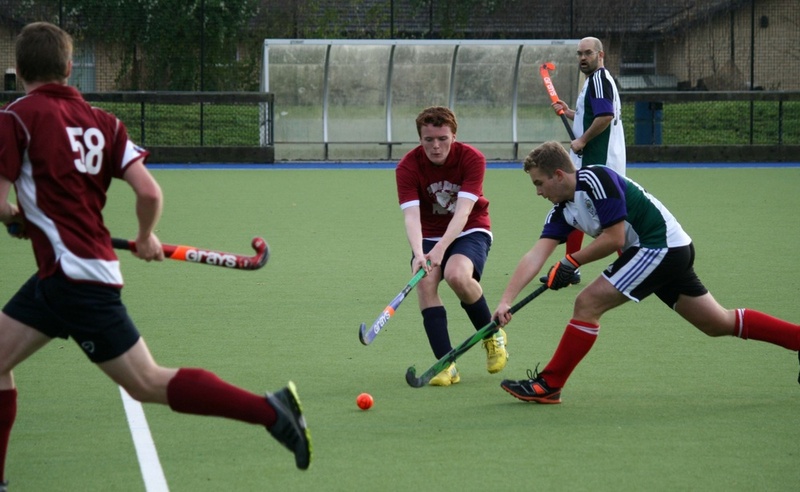 With a very strong teams from Watsonians, Grange, Inverleith and Cala in addition to regular foes Carnegie and JHA it was a really strong competition and some really good hockey was played. At U10 we won three, drew one and lost two ending up 3rd in the pool of 5, all played well with David Leslie scoring some memorable goals and Alyssa Weir and Zoe McColl putting their limbs on the line in defence. Special mention also goes to Finlay McColl who played most of his games for a Kirkcaldy team that ended up 3rd in their pool. U12s faced some very strong teams and despite some great goals from Bart Kuijpers, Angus Montford and Fraser Banks amongst others could only manage 1 win their matches coming 4th in their pool of 5. At U14s the organisation and teamwork of the larger clubs was impressive but after a couple of losses we really fought hard to get wins over Cala and Kelso and emerged 4th in the pool of 6, I was really proud of the effort against the strong teams and the goal for super-sub Angus Montford against Cala got the biggest cheer from Kinross support. The next tournaments are a Perthshire U10&U12 Tournament and National U14 Hockey Festival both on Sun 31st May. I will send out a list of those down to play, more will always be welcome and I can add extra teams to the Perthshire tournament if necessary. Kobras Strips - I find I have very few Kobras tops left, if anybody has a Kobras club shirt could you dig it out and drop it in at training over the next couple of weeks. Training as usual this week so hopefully you will all be able to come along.